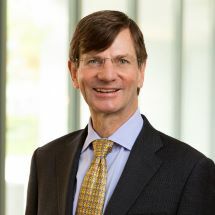 Charles Cohen's practice focuses on commercial litigation and arbitration (including international commercial disputes), construction law, employment discrimination, sexual harassment and wrongful termination, whistle-blower claims, restrictive covenant litigation, fraud, insurance litigation and professional malpractice. Mr. Cohen provides counsel to employers and employees in employment law and the negotiation of employment termination and severance agreements and assists employers in the formulation and implementation of employment policies. He is experienced in commercial and residential property leasing and transactional law, including real estate-related litigation. He maintains an active estate and probate litigation and equity practice in Chancery Courts. From 1993 to the present time, Mr. Cohen has been certified as a Civil Trial Attorney by the Supreme Court of the State of New Jersey's Board on Trial Attorney Certification. Mr. Cohen has been included on the list of New Jersey Super Lawyers in the areas of Business Litigation and Employment & Labor, from 2010 through 2019. He is peer review rated as AV Preeminent by Martindale-Hubbell. Mr. Cohen was included on (201) Magazine's list of Bergen County's "Top Lawyers" from 2015 to 2018 in Chancery Practice, Commercial Litigation, and Labor & Employment. Mr. Cohen served as law clerk for the Hon. Herman D. Michels, Presiding Judge of the Superior Court of New Jersey, Appellate Division, during the 1983-1984 court term. Mr. Cohen is a member of the American Bar Association, the New Jersey Bar Association and the Bergen, Essex and Morris County Bar Associations. He also served on the Bergen County District IIA Attorney Ethics Committee.